Bowen, C. (2005). What is the Evidence for Oral Motor Therapy? ACQuiring Knowledge in Speech, Language and Hearing, Speech Pathology Australia, October, 2005. 7, 3, 144-147. Clark, H. M. (2003). Neuromuscular treatments for speech and swallowing: A tutorial. American Journal of Speech Language Pathology, 12(4), 400-415. Clark, H.M. (2005, June 14). Clinical decision making and oral motor treatments. The ASHA Leader, pp. 8-9, 34-35. Lof, G. L. (2006). Logic, theory, and evidence against using nonspeech oralmotor exercises. ASHA Annual Convention, Miami Beach. WORKSHOP HANDOUT uploaded with the author's kind permission. Wilson, E.M., Green, J.R., Yunusova, Y., & Moore, C.A. (2008). Task specificity in early oral motor development. Seminars in Speech and Language. 29, 257-266. Bowen, C. (2011). Controversial practices - Oral Motor Therapies. Retrieved from http://www.speech-language-therapy.com/ on [insert the date that you retrieved the file here]. Clark, H.M. (2003). Neuromuscular Treatments for Speech and Swallowing: A Tutorial. American Journal of Speech-Language Pathology. 12, 400-415. Despite the proliferation of oral motor therapies, much controversy exists regarding the application and benefit of neuromuscular treatments (NMTs) such as strength training for alleviating dysarthria and/or dysphagia. Not only is limited empirical support available to validate the use of NMTs, but clinicians may also lack the foundational information needed to judge the theoretical soundness of unstudied treatment strategies. This tutorial reviews the theoretical foundations for several NMTs, including active exercises, passive exercises, and physical modalities. It highlights how these techniques have been used to address neuromuscular impairments in the limb musculature and explores potential applications to the speech and swallowing musculature. Key issues discussed in relation to active exercise are the selection of treatment targets (e.g., strength, endurance, power, range of motion), specificity of training, progression, and recovery. Factors influencing the potential effectiveness of passive exercises and physical modalities are presented, along with discussion of additional issues contributing to the controversy surrounding oral motor therapies. Forrest, K. (2002). Are oral-motor exercises useful in treatment of phonological / articulation disorders? Seminars in Speech and Language, 23, 15-25. The utility of oral-motor exercises in the remediation of children's speech acquisition delays continues to be a controversial issue. There are few empirical evaluations of the efficacy of these nonspeech activities in effecting speech changes, although much can be learned from investigations in related fields. The purpose of this article is to review the extant studies of the relation between oral-motor exercises and speech production in children as well as to examine the motor learning literature to gain a broader perspective on the issue. Results of this examination lead to questions about the procedures that are currently applied as well as to suggestions for future development of nonspeech activities in the treatment of children's phonological/articulatory disorders. Finn, P. Bothe, A. & Bramlett, R. (2005, August). Science and pseudoscience in communication disorders: Criteria and application. American Journal of Speech-Language Pathology, 14, 172-186. PURPOSE: The purpose of this tutorial is to describe 10 criteria that may help clinicians distinguish between scientific and pseudoscientific treatment claims. The criteria are illustrated, first for considering whether to use a newly developed treatment and second for attempting to understand arguments about controversial treatments. METHOD: Pseudoscience refers to claims that appear to be based on the scientific method but are not. Ten criteria for distinguishing between scientific and pseudoscientific treatment claims are described. These criteria are illustrated by using them to assess a current treatment for stuttering, the SpeechEasy device. The authors read the available literature about the device and developed a consensus set of decisions about the 10 criteria. To minimize any bias, a second set of independent judges evaluated a sample of the same literature. The criteria are also illustrated by using them to assess controversies surrounding 2 treatment approaches: Fast ForWord and facilitated communication. CONCLUSIONS: Clinicians are increasingly being held responsible for the evidence base that supports their practice. The power of these 10 criteria lies in their ability to help clinicians focus their attention on the credibility of that base and to guide their decisions for recommending or using a treatment. Kent, R. D. (2015). Nonspeech Oral Movements and Oral Motor Disorders: A Narrative Review, American Journal of Speech-Language Pathology, 24(4), 763-789. Purpose Speech and other oral functions such as swallowing have been compared and contrasted with oral behaviors variously labeled quasispeech, paraspeech, speechlike, and nonspeech, all of which overlap to some degree in neural control, muscles deployed, and movements performed. Efforts to understand the relationships among these behaviors are hindered by the lack of explicit and widely accepted definitions. This review article offers definitions and taxonomies for nonspeech oral movements and for diverse speaking tasks, both overt and covert. Method Review of the literature included searches of Medline, Google Scholar, HighWire Press, and various online sources. Search terms pertained to speech, quasispeech, paraspeech, speechlike, and nonspeech oral movements. Searches also were carried out for associated terms in oral biology, craniofacial physiology, and motor control. Results and Conclusions Nonspeech movements have a broad spectrum of clinical applications, including developmental speech and language disorders, motor speech disorders, feeding and swallowing difficulties, obstructive sleep apnea syndrome, trismus, and tardive stereotypies. The role and benefit of nonspeech oral movements are controversial in many oral motor disorders. It is argued that the clinical value of these movements can be elucidated through careful definitions and task descriptions such as those proposed in this review article. Purpose: The purpose of this systematic review was to examine the current evidence for the use of oral motor exercises (OMEs) on speech (i.e., speech physiology, speech production, and functional speech outcomes) as a means of supporting further research and clinicians' use of evidence-based practice. Method: The peer-reviewed literature from 1960 to 2007 was searched for articles examining the use of OMEs to affect speech physiology, production, or functional outcomes (i.e., intelligibility). Articles that met selection criteria were appraised by 2 reviewers and vetted by a 3rd for methodological quality, then characterized as efficacy or exploratory studies. Results: Fifteen studies met inclusion criteria; of these, 8 included data relevant to the effects of OMEs on speech physiology, 8 on speech production, and 8 on functional speech outcomes. Considerable variation was noted in the participants, interventions, and treatment schedules. The critical appraisals identified significant weaknesses in almost all studies. Moore, C. & Ruark, J. (1996). Does speech emerge from earlier appearing oral motor behavior? Journal of Speech and Hearing Research, 39, 1034-1047. This investigation was designed to quantify the coordinative organization of mandibular muscles in toddlers during speech and nonspeech behaviors. Seven 15-month-olds were observed during spontaneous production of chewing, sucking, babbling, and speech. Comparison of mandibular coordination across these behaviors revealed that, even for children in the earliest stages of true word production, coordination was quite different from that observed for other behaviors. Production of true words was predominantly characterized by relatively stronger coupling among all mandibular muscles compared with earlier-emerging chewing and sucking. Variegated babbling exhibited stronger coupling than reduplicated babbling, as well as chewing and sucking. The finding of coupled activation among mandibular antagonists during speech paralleled earlier comparisons of adult speech and nonspeech behaviors (Moore, Smith, & Ringel, 1988) and did not support the suggestion that speech coordination emerges from earlier appearing oral motor behaviors. Lass, N. J. & Pannbacker, M. (2008). The application of evidence-based practice to nonspeech oral motor treatments. Language, Speech, and Hearing Services in Schools, 39, 408-421. Purpose: The purpose of this article is to help speech-language pathologists (SLPs) apply the principles of evidence-based practice (EBP) to nonspeech oral motor treatments (NSOMTs) in order to make valid, evidence-based decisions about NSOMTs and thus determine if they are viable treatment approaches for the management of communication disorders. Method: A detailed description of EBP is provided, including levels of evidence for rating the quality of evidence. NSOMTs are described and a survey of the literature on NSOMTs is provided along with a determination of the level of evidence of each study reported. A systematic literature search was conducted using the electronic databases of MEDLINE and CINAHL (Cumulative Index to Nursing and Allied Health Literature) within an unrestricted time period. In addition, reference lists from identified articles were also reviewed. Ethical and fiscal issues related to EBP and NSOMTs, as well as clinical implications of EBP for the use of NSOMTs, are discussed. Results: A total of 45 articles/reports were published between 1981 and 2006 in peer-reviewed and non-peer-reviewed journals. Most of the sources (25) relied on weak anecdotal evidence and opinions. Moreover, studies that employed stronger designs reported negative results for NSOMTs (i.e., evidence against the use of NSOMTs for modifying speech). Conclusion: Despite their use for many years and their popularity among some SLPs for the treatment of a wide variety of speech problems in children and adults, NSOMTs are controversial because sufficient evidence does not exist to support their effectiveness in improving speech. Moreover, limited evidence exists for the use of NSOMTs to facilitate nonspeech activities. Therefore, the available evidence does not support the continued use of NSOMTs as a standard treatment and they should be excluded from use as a mainstream treatment until there are further data. SLPs should consider the principles of EBP in making decisions about NSOMTs. Lof, G. L. & Watson, M. M. (2008). A nationwide survey of nonspeech oral motor exercise use. Language, Speech, and Hearing Services in Schools, 39 392-407. Purpose: A nationwide survey was conducted to determine if speech-language pathologists (SLPs) use nonspeech oral motor exercises (NSOMEs) to address children's speech sound problems. For those SLPs who used NSOMEs, the survey also identified (a) the types of NSOMEs used by the SLPs, (b) the SLPs' underlying beliefs about why they use NSOMEs, (c) clinicians' training for these exercises, (d) the application of NSOMEs across various clinical populations, and (e) specific tasks/procedures/tools that are used for intervention. Method: A total of 2,000 surveys were mailed to a randomly selected subgroup of SLPs, obtained from the American Speech-Language-Hearing Association (ASHA) membership roster, who self-identified that they worked in various settings with children who have speech sound problems. The questions required answers that used both a forced choice and Likert-type scales. Results: The response rate was 27.5% (537 out of 2,000). Of these respondents, 85% reported using NSOMEs to deal with children's speech sound production problems. Those SLPs reported that the research literature supports the use of NSOMEs, and that they learned to use these techniques from continuing education events. They also stated that NSOMEs can help improve the speech of children from disparate etiologies, and "warming up" and strengthening the articulators are important components of speech sound therapy. Conclusion: There are theoretical and research data that challenge both the use of NSOMEs and the efficacy of such exercises in resolving speech sound problems. SLPs need to follow the concepts of evidence-based practice in order to determine if these exercises are actually effective in bringing about changes in speech productions. Powell, T. W. (2008a) The use of nonspeech oral motor treatments for developmental speech sound production disorders: interventions and interactions. Language, Speech, and Hearing Services in Schools, 39, 374-379. Purpose: The use of nonspeech oral motor treatments (NSOMTs) in the management of pediatric speech sound production disorders is controversial. This article serves as a prologue to a clinical forum that examines this topic in depth. Method: Theoretical, historical, and ethical issues are reviewed to create a series of clinical questions that should be considered before one incorporates new methods into clinical practice. Conclusion: Speech production disorders are complex and multifaceted. Speech-language pathologists are encouraged to advocate on behalf of clients by adopting the highest standards of clinical practice and by evaluating treatment options in a systematic, critical, and ethical manner. Powell, T. W. (2008b) An integrated evaluation of nonspeech oral motor treatments. Language, Speech, and Hearing Services in Schools, 39 422-427. Purpose: This article functions as an epilogue to the clinical forum examining the use of nonspeech oral motor treatments (NSOMTs) to remediate speech sound disorders in children. Method: Conclusions to eight clinical questions are formed based on the findings that were reported in the clinical forum. Theoretical and clinical challenges are also identified. Conclusion: NSOMTs have serious theoretical and empirical shortcomings. At present, there is insufficient evidence to support the routine clinical application of these procedures to remediate developmental speech sound disorders. Ruscello, D, M. (2008). 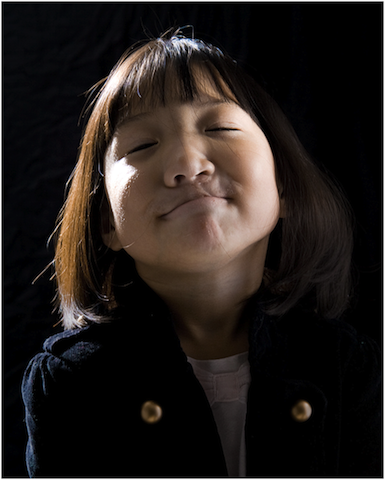 Nonspeech oral motor treatment issues in children with developmental speech sound disorders. Language, Speech, and Hearing Services in Schools, 39 380-391. Purpose: This article examines nonspeech oral motor treatments (NSOMTs) in the population of clients with developmental speech sound disorders. NSOMTs are a collection of nonspeech methods and procedures that claim to influence tongue, lip, and jaw resting postures; increase strength; improve muscle tone; facilitate range of motion; and develop muscle control. In the case of developmental speech sound disorders, NSOMTs are employed before or simultaneous with actual speech production treatment. Method: First, NSOMTs are defined for the reader, and there is a discussion of NSOMTs under the categories of active muscle exercise, passive muscle exercise, and sensory stimulation. Second, different theories underlying NSOMTs along with the implications of the theories are discussed. Finally, a review of pertinent investigations is presented. Results: The application of NSOMTs is questionable due to a number of reservations that include (a) the implied cause of developmental speech sound disorders, (b) neurophysiologic differences between the limbs and oral musculature, (c) the development of new theories of movement and movement control, and (d) the paucity of research literature concerning NSOMTs. Clinical Implication: There is no substantive evidence to support NSOMTs as interventions for children with developmental speech sound disorders. This article reviews the extant studies of the relation of oromotor nonspeech activities to speech production. The relevancy of nonspeech oral motor behaviors to speech motor performance in assessment and treatment is challenged on several grounds. First, contemporary motor theory suggests that movement control is task specific. In other words, it is tied to the unique goals, sources of information, and characteristics of varying motor acts. Documented differences in movement characteristics for speech production versus nonspeech oral motor tasks support this claim. Second, advantages of training nonspeech oral motor tasks versus training speech production are not supported by current principles of motor learning and neural plasticity. Empirical data supports experience-specific training. Finally, functional imaging studies document differences in activation patterns for speech compared with nonspeech oral motor tasks in neurologically healthy individuals. Strengthening of the articulators is commonly used to help children improve sound production accuracy, even though the relationship between weakness and speech function remains unclear. Clinicians considering the use of strength training must weigh both the theoretical foundations and the evidence supporting this practice. Widely accepted principles of strength training are available to guide the evaluation of strength training programs. Training specificity requires that exercises closely match the targeted functional outcome. The exercises must overload the muscles beyond their typical use, and this overload must be systematically progressed over time. Finally, the strength training program must incorporate adequate time between exercise sessions to allow for recovery. The available research does not support the position that nonspeech oral motor exercises (NSOMEs) targeting increased strength is beneficial for improving speech accuracy. An example of a speech-based strengthening program is provided to illustrate how appropriate training principles could lead to more positive outcomes. A much larger body of research is needed to determine the conditions under which strength training is most appropriately applied in the treatment of childhood speech disorders. In this article, the authors provide background concerning the nature of childhood apraxia of speech (CAS) and conventional speech-based treatments for it. In addition they discuss a clinical decision-making process within which to consider the appropriateness of nonspeech oral motor exercises (NSOMEs). This process requires clinicians to ask questions of themselves as they interpret clinical observations and consider alternative treatment approaches (including both NSOMEs and speech-oriented treatments). Given a virtual absence of relevant empirical evidence on the question of the value of NSOMEs for children with CAS, clinicians are urged to examine the soundness of theoretical rationales they turn to when making clinical decisions. The velopharyngeal closure mechanism is the articulator that separates the oral and nasal cavities during speech and swallowing. Articulation and resonance may be adversely affected if velopharyngeal inadequacy (VPI) is present. VPI is generally corrected through surgery or speech prosthetics. There is, however, a small subset of clients who may improve with treatment using muscle rehabilitation procedures that are task specific to speech. Nonspeech oral motor exercise treatment has been used but found ineffective. Children who are performing at a prelinguistic level of vocal communication present unique issues related to successful intervention relative to the general population of children with speech disorders. These children do not consistently use meaning-based vocalizations to communicate with those around them. General goals for this group of children include stimulating more mature vocalization types and connecting these vocalizations to meanings that can be used to communicate consistently with persons in their environment. We propose a means, motive, and opportunity conceptual framework for assessing and intervening with these children. This framework is centered on stimulation of meaningful vocalizations for functional communication. It is based on a broad body of literature describing the nature of early language development. In contrast, nonspeech oral motor exercise (NSOME) protocols require decontextualized practice of repetitive nonspeech movements that are not related to functional communication with respect to means, motive, or opportunity for communicating. Successful intervention with NSOME activities requires adoption of the concept that the child, operating at a prelinguistic communication level, will generalize from repetitive nonspeech movements that are not intended to communicate with anyone to speech-based movements that will be intelligible enough to allow responsiveness to the child's wants and needs from people in the environment. No evidence from the research literature on the course of speech and language acquisition suggests that this conceptualization is valid. To provide alternatives to the widespread use of nonspeech oral motor exercises for childhood speech sound disorders, speech intervention approaches that have received the highest level of experimental scrutiny are reviewed. Efficacy research over the past decade is critically evaluated according to hierarchical systems for quality and credibility. High standards for adherence to experimental methods are applied and reveal strong evidence for a variety of interventions that are effective. These approaches are organized according to whether their focus is directly on speech or indirectly on speech through language. Answers to the question, “What works?” with respect to features such as target selection strategies and teaching procedures are provided. Recommendations for selecting an evidence-based intervention are developed with consideration of developmental level and differential diagnostic evidence of speech sound disorder subtypes. The ideas motivating the use of nonspeech oral motor exercises (NSOMEs) cluster into three memeplexes that reflect the rich history of oral motor and nonspeech activities in speech-language pathology; a bottom-up, discrete skill theory of learning; and common treatment practices. The lack of clinical guidance provided by research also plays a role in the use of NSOMEs. The essence of the oral motor memeplex is the history of oral motor activities in speech-language pathology and the often detailed coverage these activities receive in the most widely read textbooks and publications in our profession. The essence of the discrete skill memeplex is that complex behaviors, like speech production, can be broken down into discrete sequences of processes and behaviors, and the best instruction and intervention involves discrete skills training, bottom-up approaches, task analyses, and developmentally sequenced materials. The clinical practice memeplex reflects a set of common clinical practices that contribute to the use of NSOMEs. These factors include the desire to provide state-of-the art treatment, a preference for broad-based, eclectic treatment approaches, and diverse and engaging activities that offer opportunities for measurable success. There are so many reasons to use NSOMEs that the more interesting question may be why some clinicians (< 15%) do not use these activities. A great deal of information is available to help clinicians understand the principles of motor speech learning and control, and how to apply those principles to clinical practice. In addition, the results of many investigations have documented the differences between the motor movements for speech and nonspeech tasks. Finally, supporting evidence for using nonspeech tasks to improve speech is virtually nonexistent. All of that information, taken in concert, casts doubt on the use of nonspeech techniques for improving children's speaking skills. However, clinicians have available a variety of viable intervention techniques to help children improve speech productions. This article presents a summary of reasons not to use nonspeech remediation techniques along with suggestions clinicians should consider when choosing intervention procedures for children with speech sound errors. Hodge, M. M. (2002). Nonspeech oral motor treatment approaches for dysarthria: Perspectives on a controversial clinical practice. Perspectives on Neurophysiology and Neurogenic Speech and Language Disorders, 12, 4, 22-28. Lof, G. L. (2002). Two comments on this assessment series. American Journal of Speech-Language Pathology, 11, 255-256. Lof, G. L. (2003).Oral motor exercises and treatment outcomes. Perspectives on Language Learning and Education, 10, 1, 7-11. Bathel, J. A. (2006). Curent Research in the Field of Oral Motor, Muscle Based Therapies,Talk Tools Innovative Therapists International. What's in your oral motor toolkit? "Today I would like to share the tools I arm myself with before attempting oral-motor therapy with children below the age of three. Not always an easy task!! Oral-motor work can often be quite daunting for all involved—therapist, parent and child! It is invasive and if the child is orally defensive, you can really have your work cut out for you! I do have a few trusty tools that I feel work well and I am always looking for new ways to do oral motor therapy, so please share your ideas as well!" "I must admit, I love a good controversy every once in awhile! Recently I have been both fascinated and flabbergasted by some of the comments posted on the blog related to oral-motor therapy and its effectiveness. I myself am a huge supporter of oral-motor..."
Debra writes, "...Debra Beckman has, since 1975, worked to develop these specific interventions which provide assisted movement to activate muscle contraction and to provide movement against resistance to build strength...."
Sara Rosenfeld-Johnson of Innovative Therapists International writes, "Sara Rosenfeld-Johnson's unique tactile-sensory approach to speech therapy uses therapy tools 'disguised' as toys! See how 40 fun-to-use exercises can be used to improve phonation, resonation, and speech clarity. Interactive, hands-on demonstrations will focus on therapeutically sound techniques that develop the oral-motor muscles needed for improving speech clarity : abdomen, velum, jaw, lips and tongue. Your child and adult clients will actually want to do them because they are fun and they work! (apraxia / dysarthria)." Currently there is no research reported in the refereed (peer reviewed) literature that demonstrates the effects, efficacy or efficiency of any of the Oral Motor Therapies used by speech-language pathologists. Also, no well designed single case studies of OMT in action are reported. If and when such studies are reported citations, and links if possible, will be included here. For more information read the LSHSS Clinical Forum, July 2008 and the Seminars in Speech & Language Special Issue, November 2008.